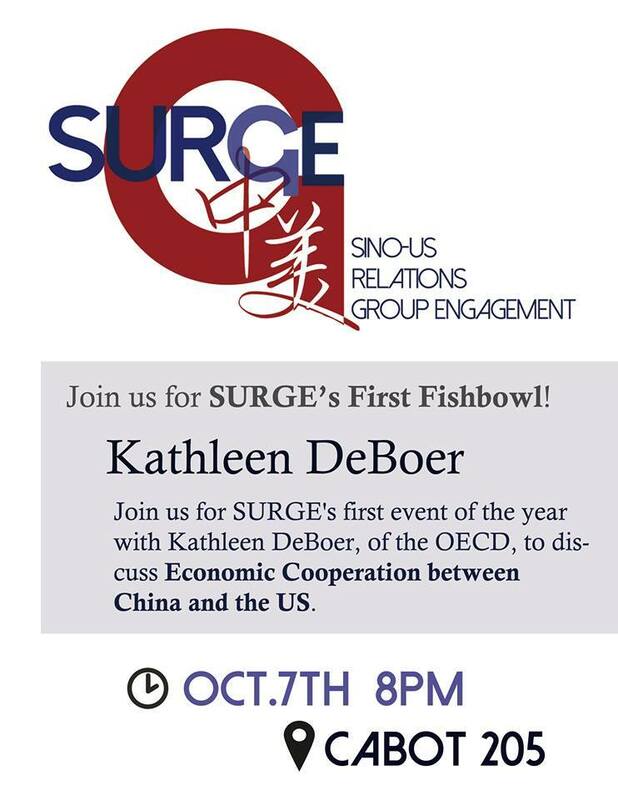 Tufts SURGE is proud to present its annual fall event. This year, we are pleased to have Robert Ross speak at our event on December 7, 2016, 7pm at the Crane Room, Paige Hall. Robert Ross is Professor of Political Science at Boston College and Associate, John King Fairbank Center for Chinese Studies, Harvard University. He has testified before Senate and House committees and the Defense Policy Board Advisory Committee, and advises US government agencies on various policy actions. 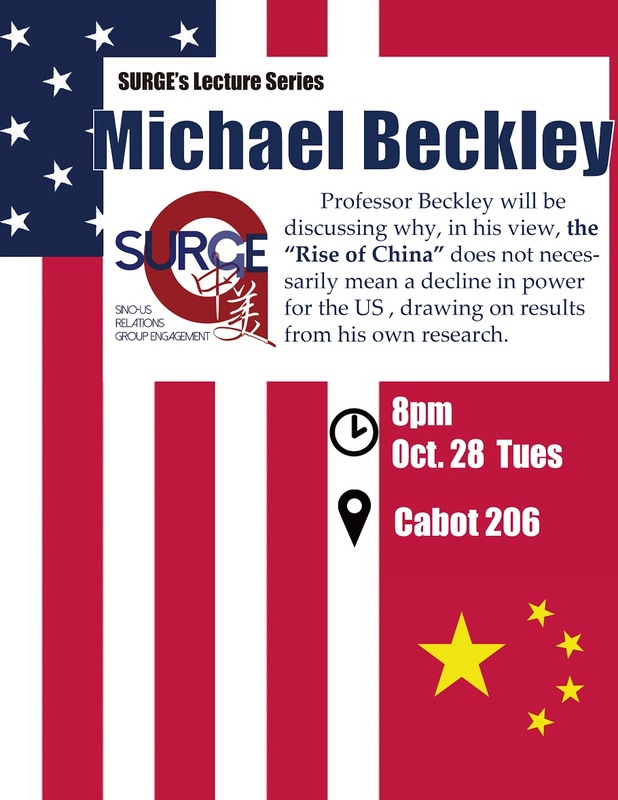 He has written publications, including: Chinese Security Policy: Structure, Power, and Politics, China’s Ascent: Power, Security, and the Future of International Politics, as well as has articles published in Foreign Affairs, Foreign Politics, The China Quarterly. Dr. Ross will speak about the legacy of President Obama’s Pivot to Asia, before assessing the implications of Donald’s Trump electoral success on future Sino-US relations. 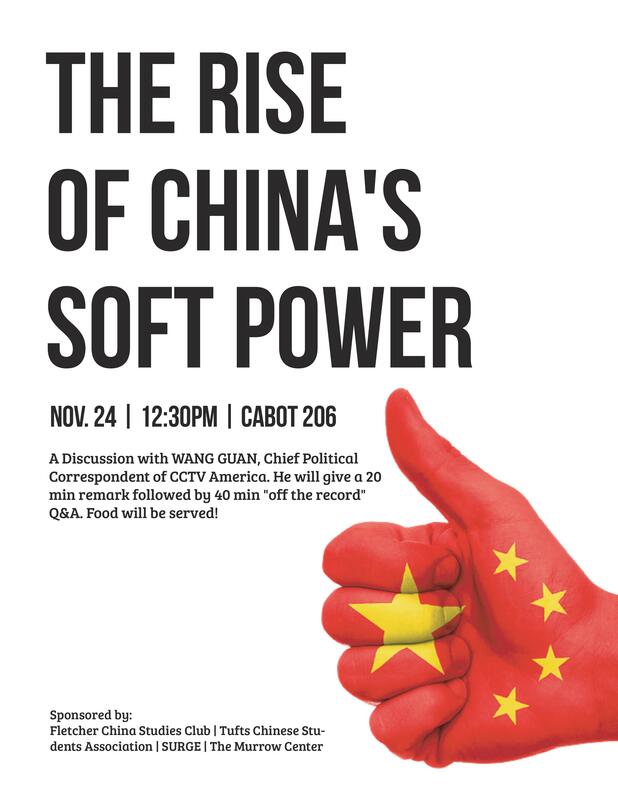 In the Culture Event hosted in December, SURGE conducted a discussion about the former One-Child Policy in China. We were honored to have Ms. Melissa Ludtke, an award-winning journalist and Yankee Quill Award winner, as our guest speaker. During the event, Ms. Ludtke talked about her book and education series: Touching Home in China, which is a project on the influence of the One-Child Policy, and the experience of her own beloved daughter Maya who was adopted from China. In addition to Ms. Ludtke, Jiahe Chi, a Chinese senior and former member of SURGE, shared his insights on how the policy changed the lifestyle and perspectives of urban and rural populations in China. “Same, Same But Different” was held in Olin 11, during open block from 12 to 1pm on Wednesday, December 3rd. Four Chinese and American students who have lived in both China and America shared their experiences dealing with cultural and ideological differences between the two cultures. Their different backgrounds and stories offered insights on various aspects of Eastern and Western cultures, and was inspiring to those who have similar experiences and who are interested in studying abroad.